The skin allows an advertiser to take the place of the background on the AVHub website and remains visible as the user scrolls down the website. This skin template is appropriate for all AV brands, including Sound+Image, Australian Hi-Fi, ProPhoto, Camera, INCAR and Australian Guitar. 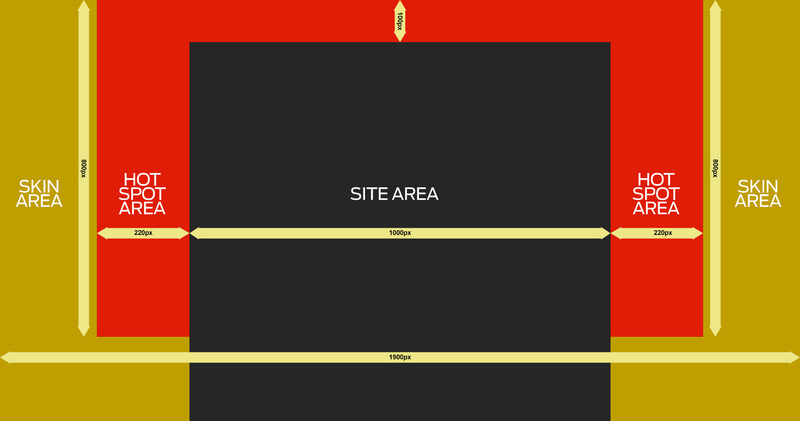 Main elements of the creative should display in the top 100px, and the 220px on the left and right of the site (shown in red hotspot areas above). Other elements may be placed outside this area but whether or not they are seen by the user is dependent on their individual screen resolution.